This is not a stage of any fantastic film. 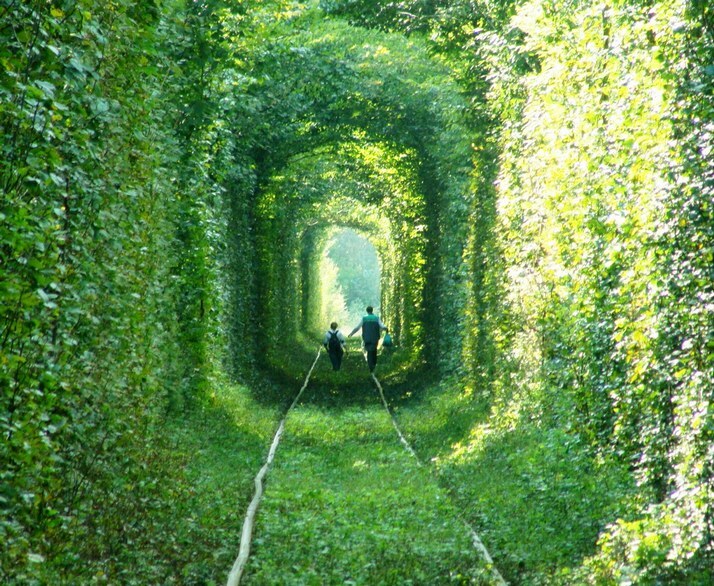 This amazing, dreamlike tunnel, called “Tunnel of Love” is located in the Ukraine, near Kleven. 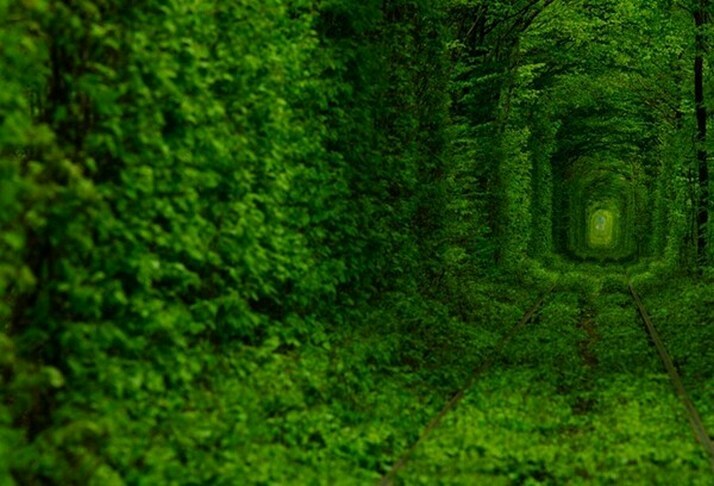 It’s like a “The Secret Garden”, only it is a tunnel passage for trains. Not just any train. 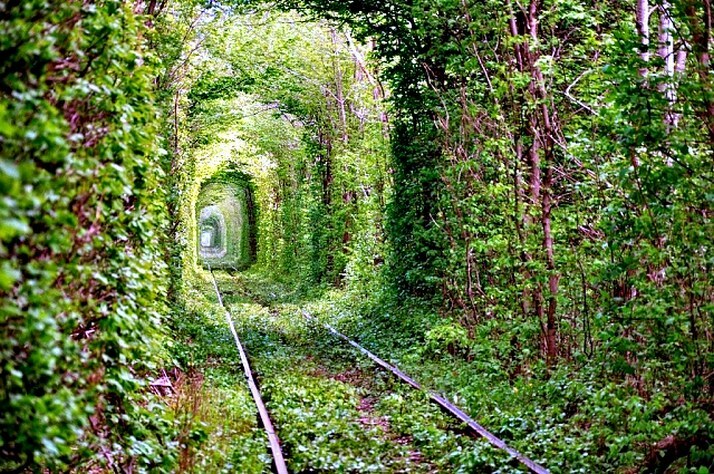 Private trains are the only ones allowed in this exclusive passageway. 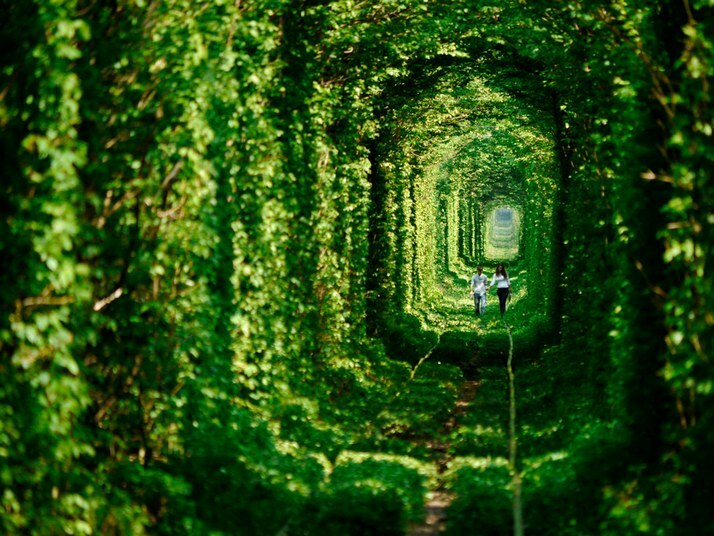 India may have the Taj Mahal, and Paris is the city of love, but the Ukraine has this incredible, ethereal Tunnel of Love.Strolling hand-in-hand with someone special, these young lovers must be in one of the world’s most romantic spots. In addition to serving as a train route, the tunnel is used by lovers to make a wish – it is said that if they are sincere in their love, their wishes will come true. 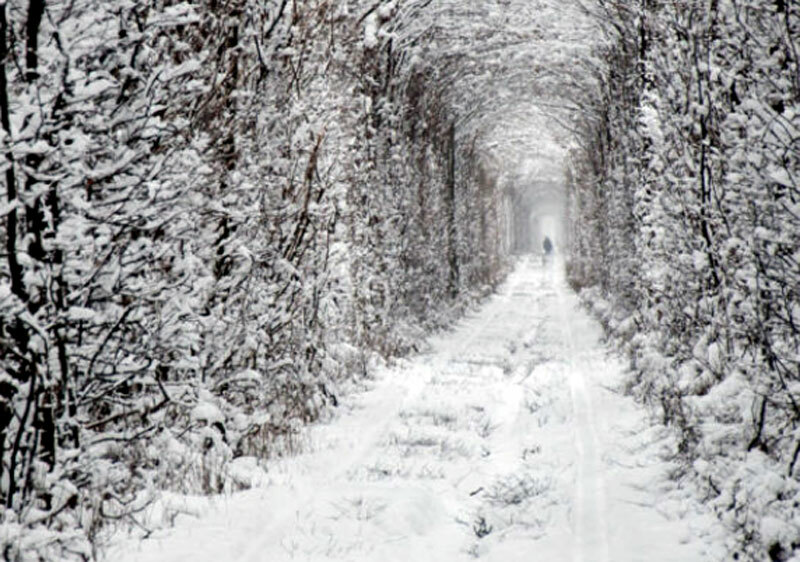 The tunnel only measures just shy of 2 miles at 1.8, but it’s a breathtaking scene nonetheless. 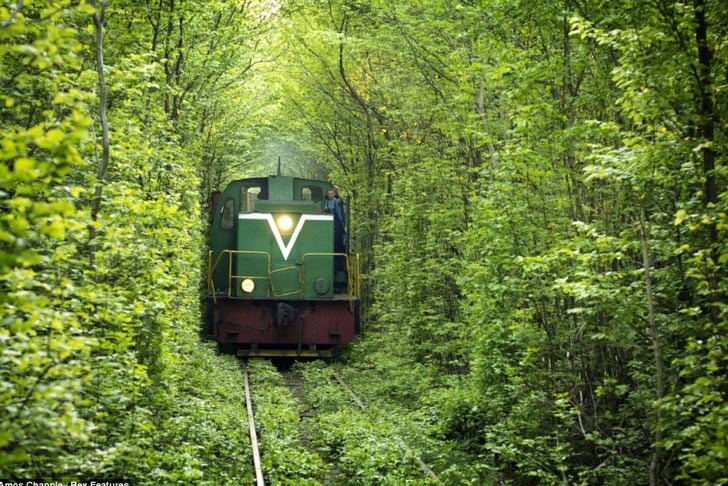 It was made over many years as the passing train molded the trees’ lines. 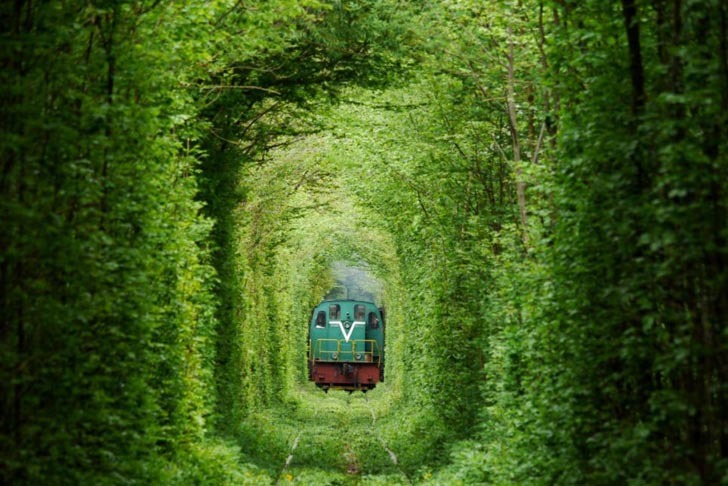 The train turned a cluttered piece of woodland into a unique passageway as it traveled back and forth 3 times a day over several years. If you are planning a trip to Ukraine, don’t forget to visit this magical “Tunnel of love”! Also it definitely could be one of the most romantic places for weddings or betrothals.